If you’re looking for a new job in warehouse and distribution, it can be tricky to know what you are getting into without a facility visit. Even after a visit, it can be hard to vet a job you may end up in and what the environment will be like. Luckily, most companies are starting to create video job descriptions for their open positions. These videos showcase the job and can give applicants a better idea of what to expect in the role. After seeing the video, you should have a better idea if you’d like to apply or even accept a job there. 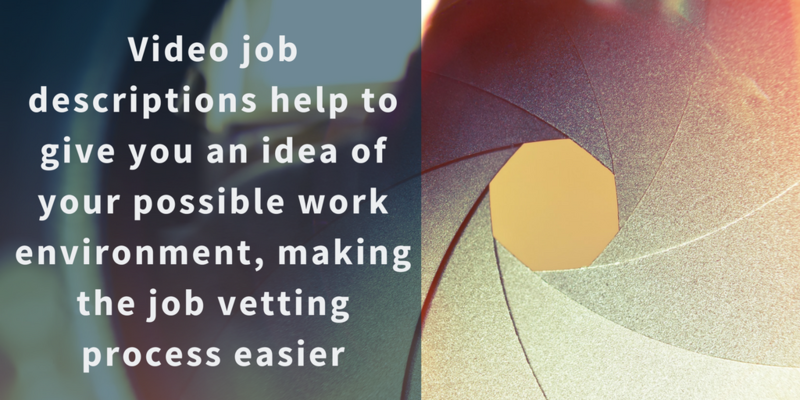 So what can you look for in a video job description to help you make your decision about a position? The facility. Many times, you’ll get an exterior shot of the building facility and the inside. The inside is the key. Do you hear any overhead music or just the whir of machines? Is it a clean environment? Are there safety lines on the floor to lead you? These are just a few things to keep in mind for a possible new job as you watch the video and view the facility. The employees. How quickly are the assembly line employees working? Are there seated positions? How old are the employees? Do you see any heavy lifting or other duties that may deter you? Sometimes employees are featured in these videos to do testimonials about their job. Listen to what they have to say and see how closely you align with their statements. The managers. It’s also common for a manager or supervisor to be featured and talk about the positions available and what they look for in an employee. Again, pay close attention and decide if these qualities sound like your skillset. The job details. In the video, you may also hear what specific roles are open, as well as shifts and pay rates. This gives you a very transparent look at the hours you’d work and wages you’d make, which should greatly help in your decision. To see an example of a video job description, watch the one we made for our client Delta Systems, or the one for Vitamix! These should give you an idea of what to look for when you come across a video job description in your job hunt.